Discount Magic - Close-Up Mat - Table Hopping (Small) - 9" x 13". The perfect practice and performance surfaces. These pads were made with the magician in mind. 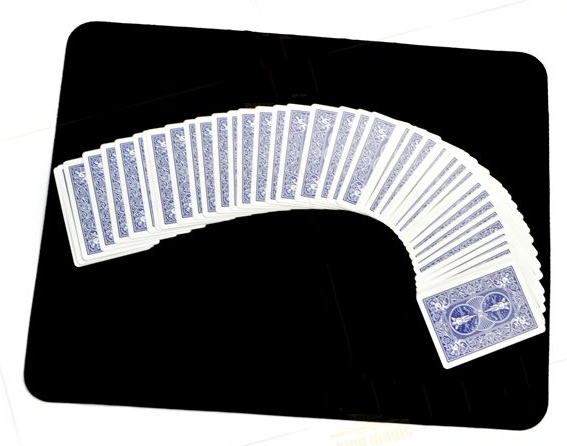 These Table Hopper mats are ideal for the mobile magician, measuring 23cm by 33cm they offer a good performing area for coin and card work. Notify me of updates to Close-Up Mat - Table Hopping (Small) - 9" x 13"
Close-Up Mat - Table Hopping (Small) - 9" x 13" The perfect practice and performance surfaces. These pads were made with the magician in mind.